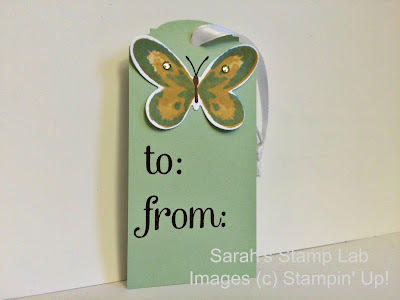 Sarah's Stamp Lab: Watercolor Wings Gift Tag - Quick and Easy! Today I have a quick and easy project to share with you. 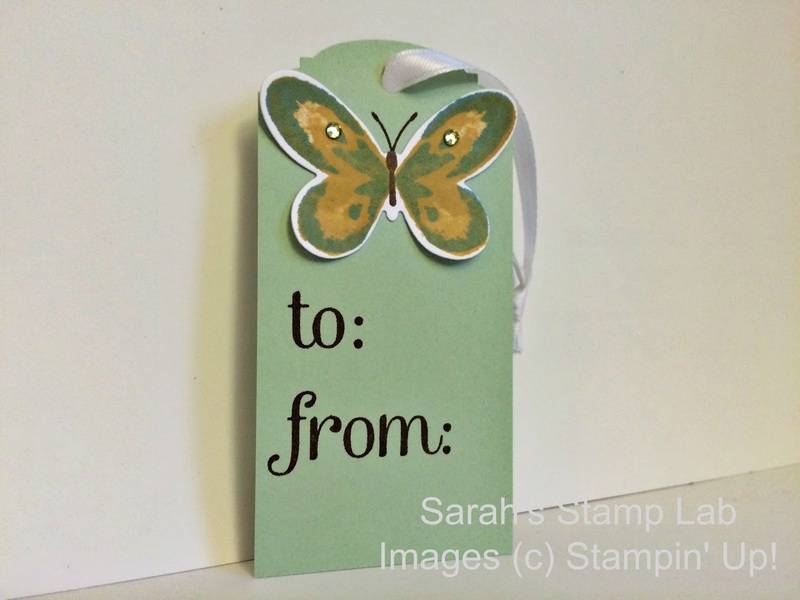 It's a fun little tag made with the Watercolor Wings stamp set. This stamp set is a lot of fun to play with it. You just keep adding layer upon layer of color until you get the effect you want. Because they are photopolymer stamps, it's super easy to line up the images for perfect stamping every time. I was able to create this tag in under 10 minutes! You can just as easily create these tags yourself! Any questions? Let me know in the comments. Thanks for looking!